Throughout the year, some leaves change colour from green, to yellow, to red. Discover the role chlorophyll, carotene and anthocynanin pigments play in making this happen. Leaf colour depends on which pigment molecules occurs in the greatest quantity. Chlorophyll is the pigment that gives leaves their green colour and allows them to covert solar energy into chemical energy. Carotene is a pigment that changes the color of leaves to orangey yellow during the autumn as temperatures drop. Anthocyanin is a pigment that turns leaves red because more sugars accumulate in leaves in autumn. In the course of a year, deciduous trees go through an amazing transformation. 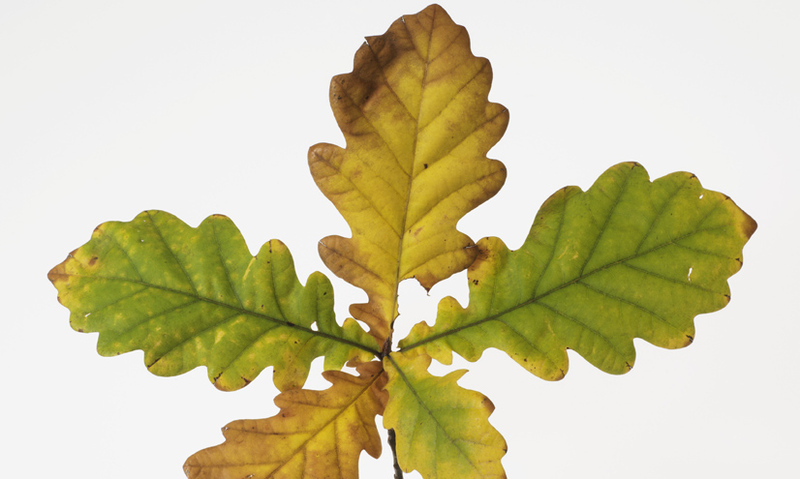 Complex chemical reactions inside each leaf create vibrant, seasonal changes in colour. In spring and summer, most leaves are a vibrant green. This is due to a green pigment inside the leaf cells called chlorophyll.